What is a push down court anyway? 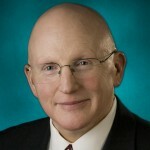 At the time that the Nevada Law Blogs last treated the Nevada Court System, there was no Nevada Court of Appeals. Since then, things have changed. So how about an update regarding appeals in Nevada. 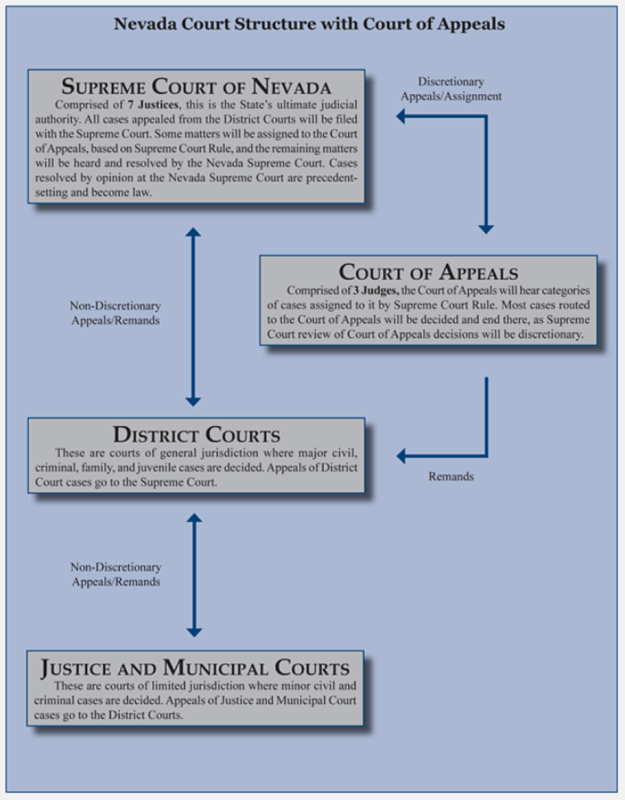 In 2014, the Nevada voters approved the creation of the Nevada Court of Appeals. The Nevada Court of Appeals is subordinate to the Nevada Supreme Court. But this new court would follow a “push down” or “deflective” model. Since 2014, many people still do not understand what this means or how this new court will operate. Let’s use a recently decided insurance appeal to demonstrate the function of the Nevada Court of Appeals. In 2015, David Figueroa was a Metropolitan Police Officer. He was just off duty and was heading home on his motorcycle. He was involved in a terrible crash sustaining serious injury. The adverse driver was underinsured so Mr. Figueroa turned to his own UM/UIM coverage. First he recovered from the motorcycle’s UM/UIM policy issued by American National Insurance Company. Then he filed a claim with IDS Property Casualty Insurance Company. Mr. Figueroa’s IDS policy provided UIM limits of $250,000 per person and Med-Pay limits of $5,000. The policy covered two automobiles. Mr. Figueroa demanded that his IDS UIM benefits be stacked, thus receiving the full $500,000 of UIM coverage and $10,000 of medical payments coverage. However, the Figueroa policy included anti-stacking language and a step-down exclusion that provided that if the accident involved a vehicle not insured by IDS, the coverage would step down to the statutory minimum of $15,000.00 for underinsured coverage. IDS paid its $15,000 UIM limit and then filed a declaratory relief action against Mr. Figueroa. On February 5, 2016, in her FINDINGS OF FACT, Eighth Judicial District Court Judge Susan Scann upheld the IDS’s anti-stacking language and found that the step-down provision did not violate NRS 690B.020(b) and 485.185(a). 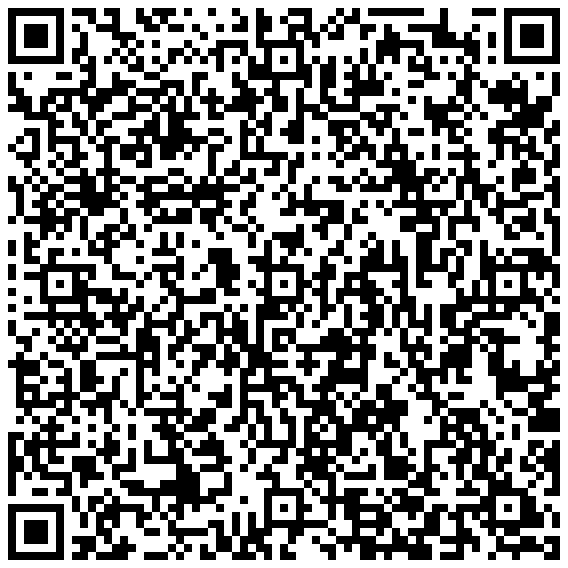 See these links for more information on STACKING and STEP DOWN Provisions. Mr. Figueroa appealed to the Nevada Supreme Court, not to the Nevada Court of Appeals. Mr. Figueroa filed his Opening Brief, IDS filed the Answering Brief and Mr. Figueroa filed his Reply Brief. Nev. Const. Art. 6, § 4 gives the Nevada Supreme Court the authority to transfer cases to the Nevada Court of Appeals. In this instance, it was only after all the briefing was complete that the Nevada Supreme Court made up its mind to transfer the case. On April 5, 2017, the Nevada Supreme Court entered a NOTICE OF TRANSFER TO THE COURT OF APPEAL. The Nevada Court of Appeals had responsibility for the Figueroa case. Without entertaining any oral argument, the Court of Appeals issued an unpublished opinion upholding the trial court’s decision. Figueroa v. IDS Prop. & Cas. Ins. Co., 2017 Nev. App. Unpub. LEXIS 440, 2017 WL 2734093. (3) Whether the case involves fundamental issues of statewide public importance. Mr. Figueroa filed a Petition for Review pursuant to this rule. The Nevada Supreme Court considered the Petition and decided that the case did not satisfy any of these criteria. On September 28, 2017, the Court issued an ORDER DENYING PETITION FOR REVIEW. 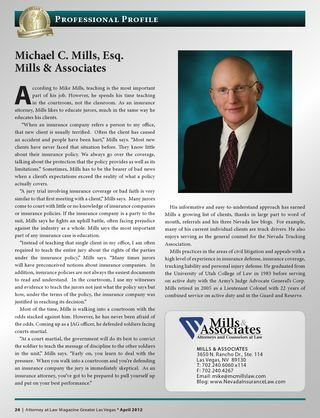 If you have questions about how the Nevada Court of Appeals operates or other questions regarding insurance and coverage law in Nevada, please do not hesitate to contact Mike Mills at 702.240.6060×114. He will be glad to speak with you.